So, I've been searching for a spare engine and trans for the SPB, just in case. 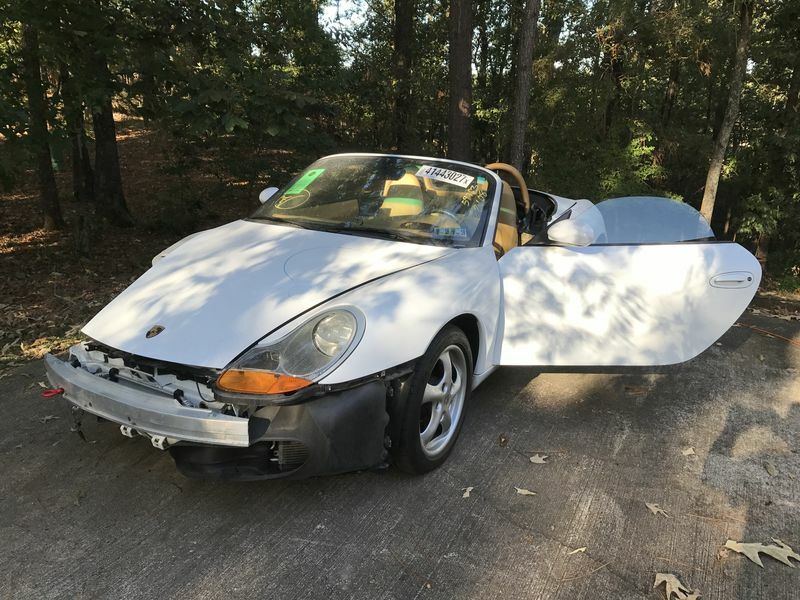 Searching for salvaged vehicles as that is cheaper than buying separately. Found a '98 with 54k on copart, which I bought, took a quick 2-day roadtrip to Philly to pick it up. This morning was the first that I got a chance to go over the car (20 min), before heading to work. Turns out the car was a concours car, and other than the wreck damage on the front right is in pristine condition. 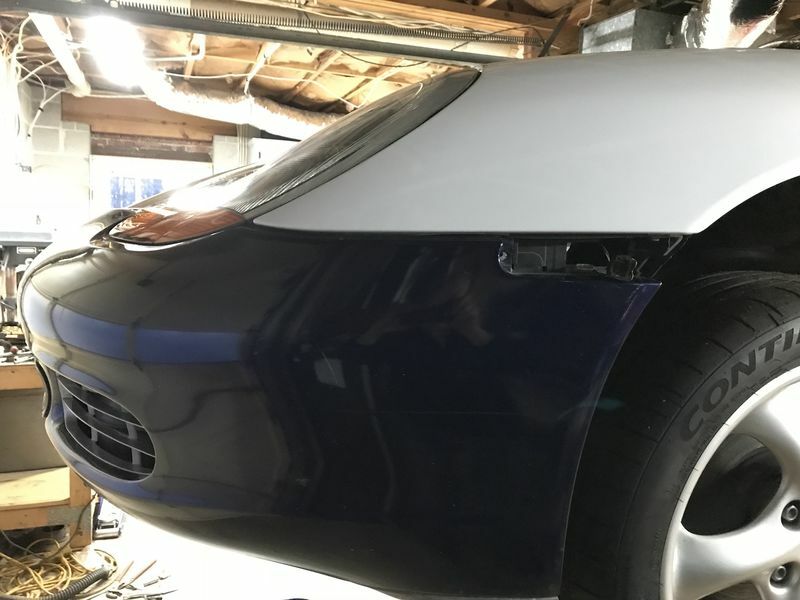 No scratches, great top, paint in top condition. I'm guessing that when I pull the cover that you will be able to eat off the engine. From what I can tell, everything is in working order, but I won't start till I loop the passenger radiator lines so I don't blow coolant everywhere. If everything checks out, I will rebuild and use for a daily driver. My wife is already trying to claim it as her car! A pic to get this thread started. Nice find, keep us posted! Yep, if I restore, will have to keep looking. Car started on first try, slight lifter tick, but the car likely has not run in a month or so. Other than the damage, everything appears to be working well and is in great shape. Finally got time to really go over the car, will need to do a bit of pulling on the front right, but not much. Front right strut is bent, but I will be putting coilovers on it if I keep it. Heck of a car, need to find the original owner as he/she did a great job on it. Below is a pic of the car after just spraying with a hose, and it was filthy coming from the salvage yard. 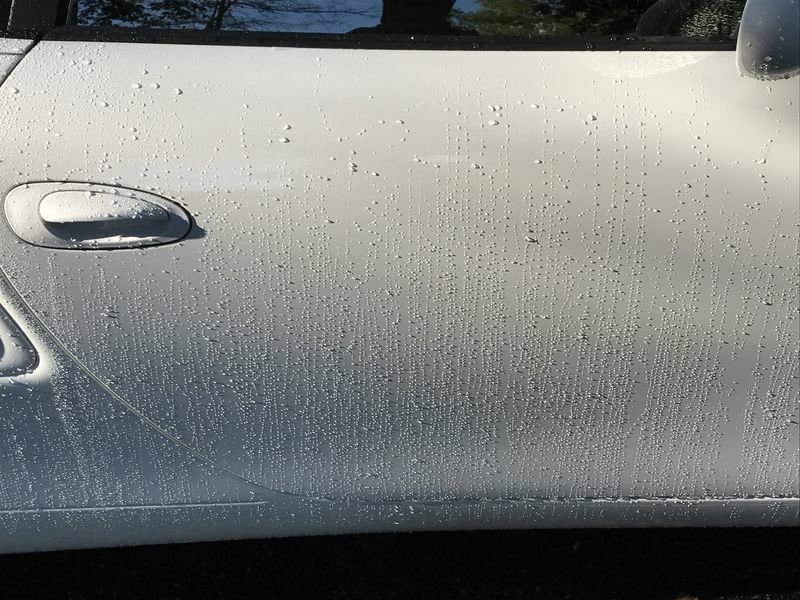 Wish I knew how to wax a car this well. 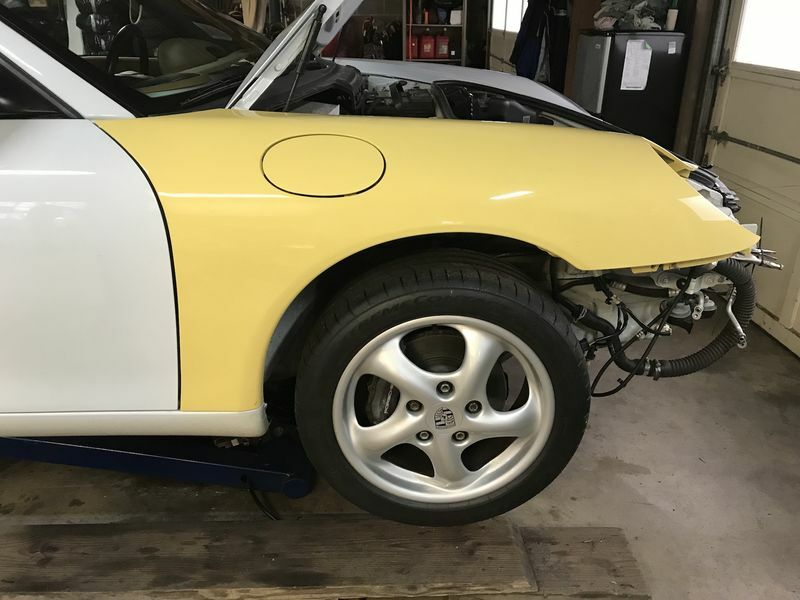 Best friend came over to see the car tonight, he is a car insurance appraiser, was blown away by the the 986, easy fix!. Got a shot of my 986 next to his 981S (same color combo). Will have to get a shot of my SPB (black/white), daily driver (981 red) and the new white 986. 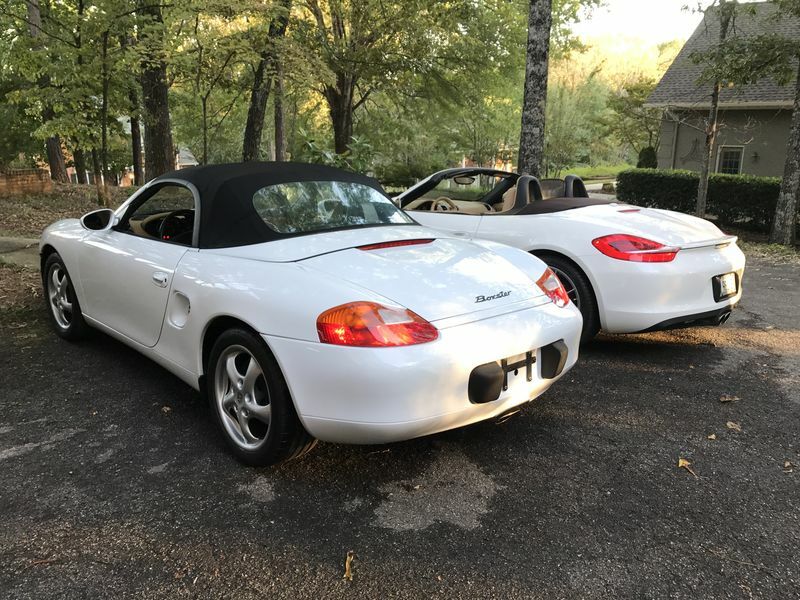 And yes, there are three boxsters parked in my garage tonight. Last edited by Lemming; 10-14-2017 at 10:16 AM. I have stayed hounding on Copart myself but every time I like one it goes higher than I expect. SPB racers are certainly buying up cars for spare engines and transmissions. I expect to see a "flood" of 986s on copart after Harvey and Irma. I'm right in Houston actually and there is loads of them. Some with waterline to the roof line though lol. Decided to change the oil yesterday, light tan in color and no metal! Finally got time to really go over the car, will need to do a bit of pulling on the front right, but not much. Front right strut is bent, but I will be putting coilovers on it if I keep it. If the strut was bent then your carrier is probably bent also. You cant tell by looking at it. I sell carriers for $50+shipping and most people carry two spares with them to the track. Thanks, still not sure what I am going to do with the car. I feel that it is in too good of condition to part, but but but but.... Originally I was just after the engine and trans, really just a parts car for my SPB. Time will tell and with work and travel, not much will be done between now and late Nov. The good thing is that my step son will be here for thanksgiving, he's rebuilds crashed cars for a living and will be able to give me great advice on the car. This was a day or two after getting it home, prior to being cleaned. This was the first time I had started it, had a bit of lifter tick from not running in a month or so, purrs like a kitten now. Looped the radiator lines as a bandage. It is starting to appear that this project will be moving forward in the near future. 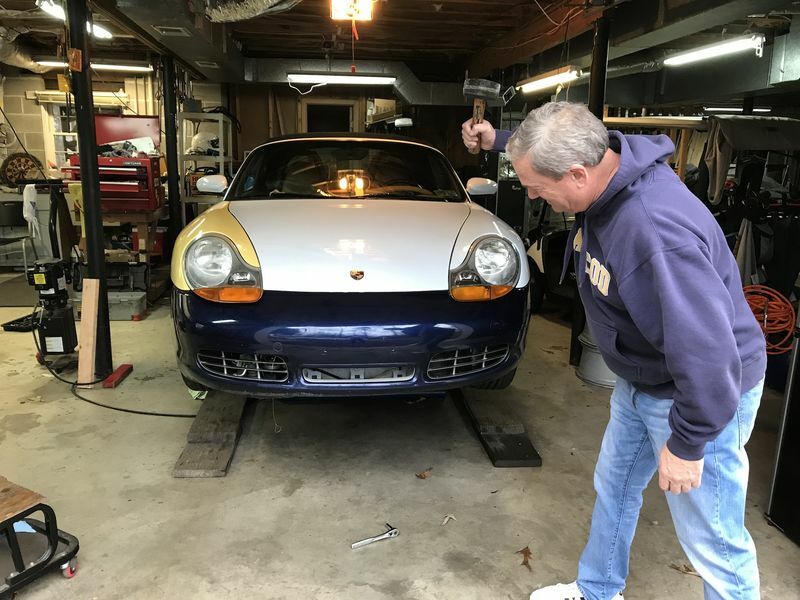 With my daughter starting college next year and my racing budget, I will be selling the 981 and building the '98 986 into my daily driver. Will start ordering repair parts over the holidays and have found someone with a rebuilders license who will do the paper work for the rebuilt title ($300). I plan to do all of the work, other than paint. Will update as the project progresses. It's a go, majority of repair and body parts are on order! Trying to decide what to do about the suspension. 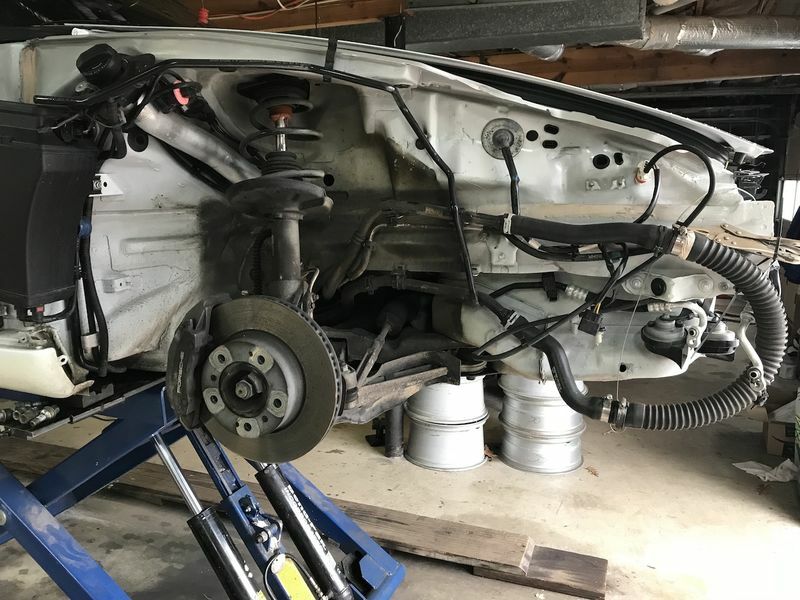 I will not be happy with stock, and one strut is bent from the accident. 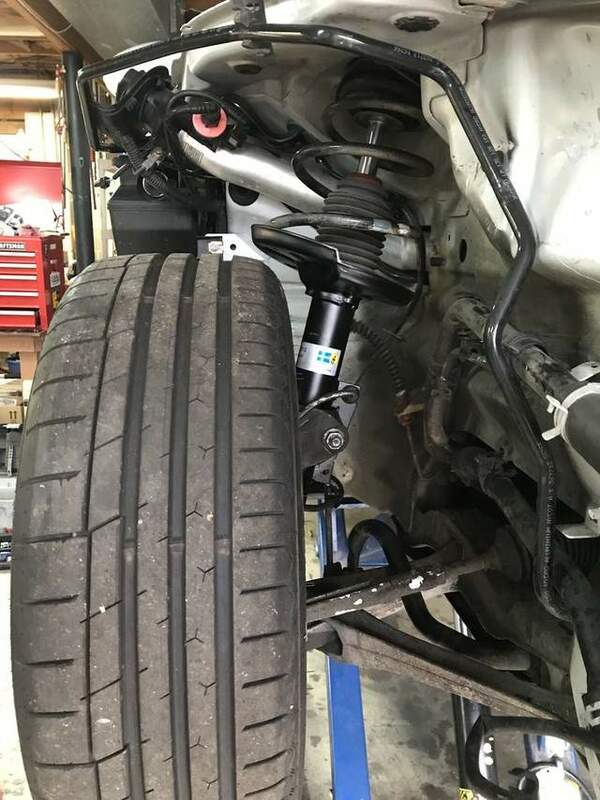 Will likely upgrade and would like coilovers for height adjustments. I'm familiar with PSS9s from my SPB, but need to do some research before deciding. Christmas presents arrived on Friday! Starting point for the project. A good friend helped me with the car yesterday. Pulled out the BFH and went to work on the tub, then started hanging body work. Still lots of work to do, but it's going to be easier than I thought. If your painter is really good, you won’t be able to tell it was in a collision. My Body guy is an artist. Another good painter and body man couldn’t find where my DD Forester was hit and repaired. The only tell is the branded ownership. 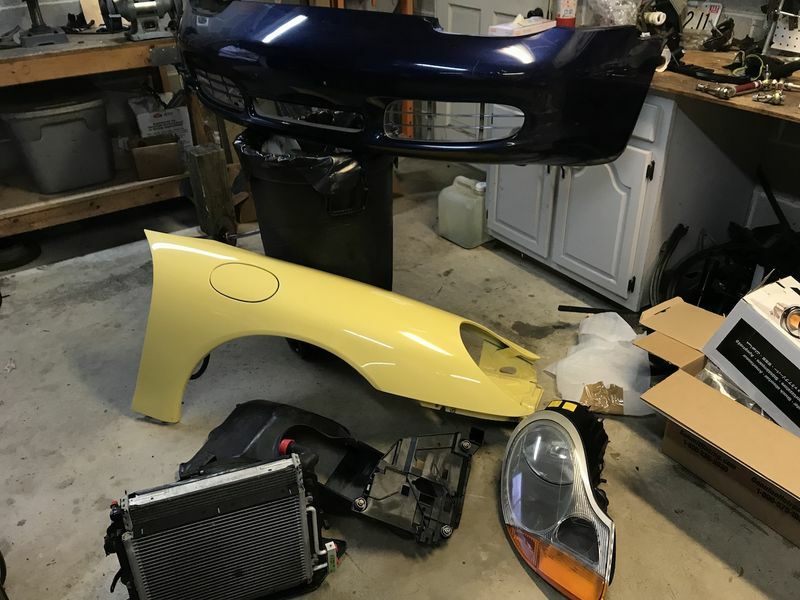 Probably best to paint the pieces off the car so they can get in all the areas better. That's the plan, at this point we are just trying to get everything to line up properly.